FIND LEMONY HAPPINESS THIS MONSOON ON LIMEROAD! The monsoon is here again! Some hate it, I love it. I'm sure you love it too! Nothing like the smell of damp earth, the sight of fresh green leaves on the trees and the pitter patter on the window. It makes your soul smile! Most people I know actually dress down for the rainy days as the humidity sometimes takes its toll. The rains can make you feel sticky, your makeup doesn’t stay and the style diva takes a break and jumps into an old pair of shorts and a frayed cotton shirt. But who said monsoons should be boring! You don’t want to miss having fun in the rainy weather. When I think of the monsoon, I think of bright, happy hues of yellow, lemon and green! Pastels and white are passe this season. Fabrics like cotton, light-weight denim and chiffon work best in this weather. Try and wear free-flowing silhouettes that help the skin breathe. 'Style meets comfort' should be your mantra. So, I was looking through some stuff on limeroad.com and picked up a few interesting pieces just for you. Check out the lemony goodness! These amazing sarees and suits will surely make you stand out. Short, midi and maxi dresses! Add these styles to your wardrobe and you are set for the season! What's better than casual shorts or a skirt for a day out! Add a layer to your outfit to make it look dressy! Breathe easy in these short-sleeved tops! Take on the rains and jump around in puddles in comfortable footwear. Throw on a pair of earrings or a necklace to add bling to your outfit. Complete your outfit with a stylish purse or bag! Stuff it with your phone and other essentials. Hope you guys liked this post. Visit limeroad.com to see more exciting stuff! Here is a mini collection of vintage earrings that you can grab. LIMITED STOCK!! HURRY!! Send me an email at fashionthrifted@gmail with the subject line (VINTAGE SALE: name of the earrings you want to buy) and with your address. Deposit the amount plus Rs. 50 shipping charges to my bank account (I will mail you the account details). The product will reach you within 21 days!! MINI BLOG SALE: VINTAGE EARRINGS!! COMING SOON!! I am going to be launching a mini blog sale verrrrry soon!!! Are you ready?? Okay! After months of deliberating, I finally took the plunge and decided to get my hair rebonded. People around me had many good and bad experiences to share. I decided I wanted my personal experience. I was very bored with my typical layered hair style. I read up several articles a night before. They prepared me for the procedure. What I was not prepared for was the number of hours I would have to spend sitting in a chair and straining my neck! I arrived at the salon at 10.30 am and left at 4.30 pm. PHEW!! PHEW AGAIN!! 1. My hair was shampooed twice (I had applied henna a week ago. The stylist really frowned at the mention of henna, but then I had not known I would be doing this a week ago). 3. The hair was rinsed and blow dried. 4. My hair was straightened using a flat iron. 5. A keratin lotion was applied and kept for 15 minutes. 6. The hair was rinsed and blow dried. 7. A hair serum was applied and my hair was thoroughly brushed. 1. Not wash my hair for the next three days. I cant tie or bend my hair in any manner. 2. Use a professional shampoo and conditioner meant for chemically treated hair. 3. Get a hair spa after three weeks. The stylist used products from Matrix. It's been a few hours and I am loving my soft, silky, shiny hair! I will keep you posted!! 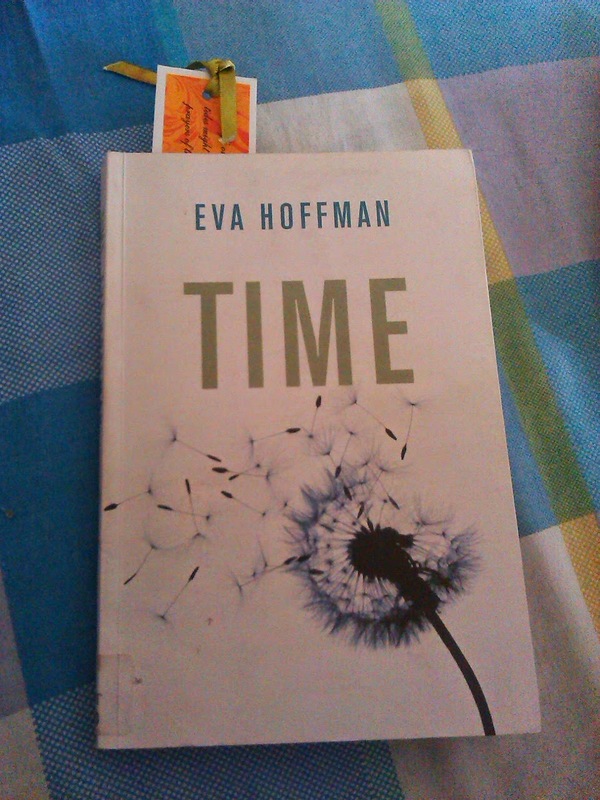 This book is not about time management but about how individuals and cultures perceive and adapt to time. The difference between our internal biological clock and the external mechanical time greatly affects our lives. The post-industrial society is moving at a fast space where we are forced to multitask and race against time and to pack in a lot more in the day. This is against the natural rhythm and timing of our physical selves. Hoffman's narrative is very arresting. The book is not light reading but is totally unputdownable!